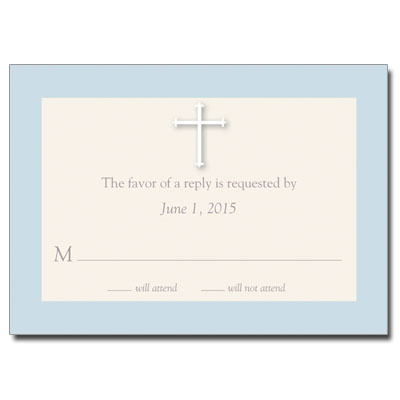 Soft beige and light blue are the perfect baby colors for this Christening response card. A white cross adds a delicate touch to the top. Card measures 5x3.5.